One of our most popular designs! 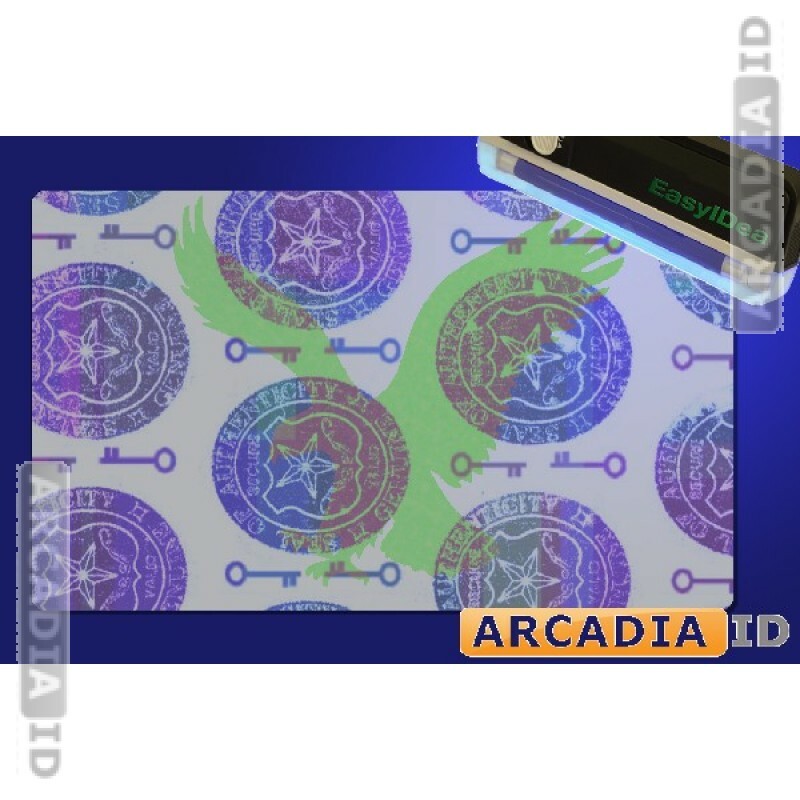 This is a multispectrum hologram with large shields and small keys visible at different angles. Each of these seals has the words "Seal of Authenticity" at the top of them, and the word "Genuine" at the bottom. Within the emblem is a five point star as well as the words "Secure" and "Valid". 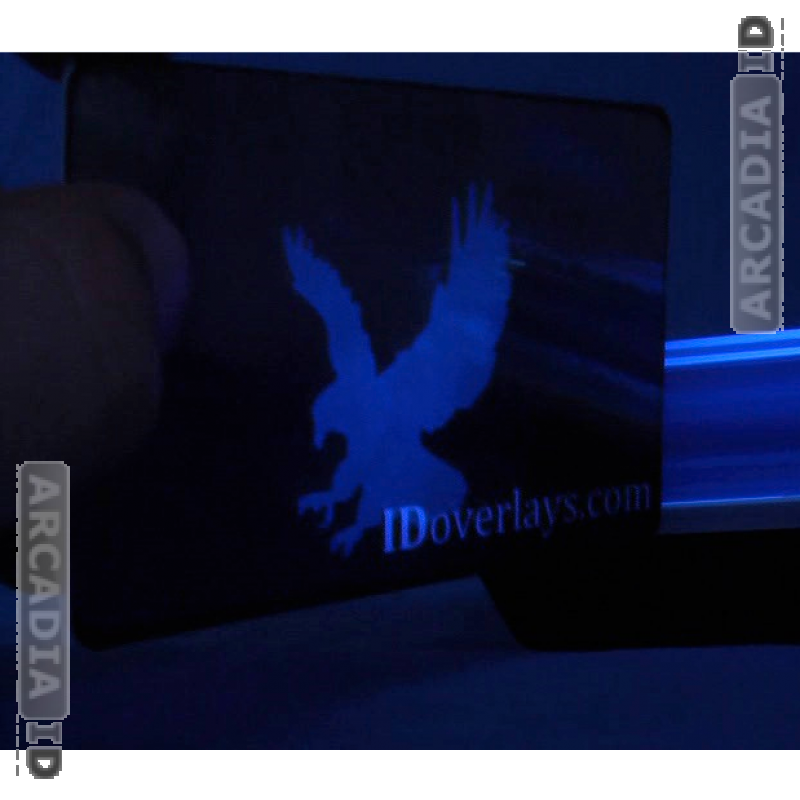 This hologram overlay includes the shape of an eagle centered on the card, completely invisible to the naked eye. 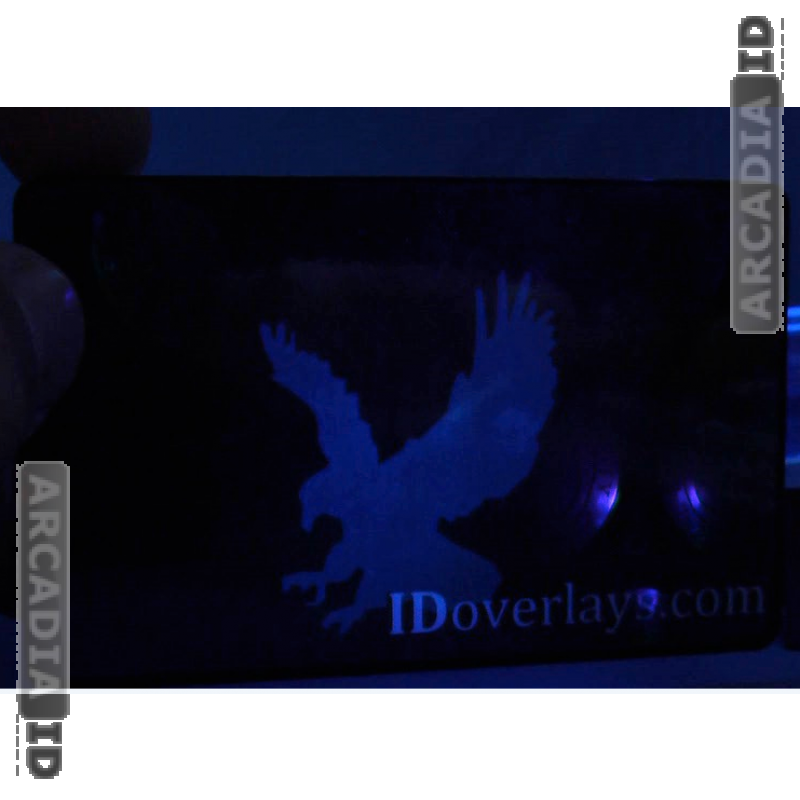 This eagle is only visible under an ultra-violet black light. 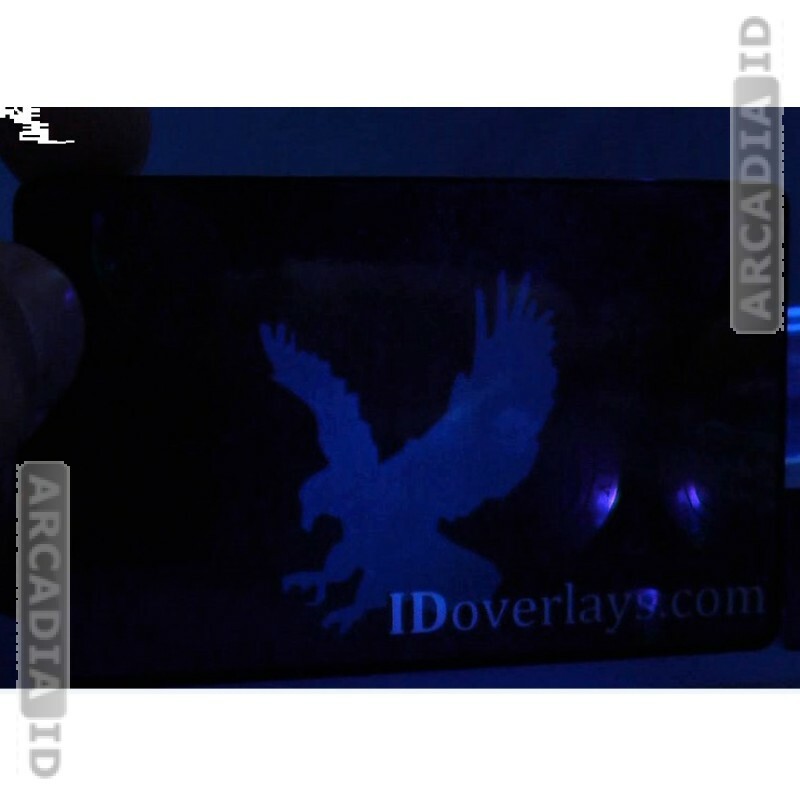 When viewed underneath the black light, or the eagle glows an electric blue. This method ensures a high-level of security as this security device can hardly be seen with the naked eye. 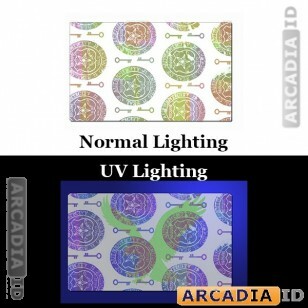 Any security personnel can check for the black light ink and verify authenticity. Since this security-device is hidden, it often is overlooked by would-be document forgers providing you with an added layer of authentication. In heightened security environments we highly-recommend including this feature for your ID cards and security documents. Variable spectrographic regions: Within each seal are a set of variable spectrographic regions which change shape as the light reflects over them. In these regions it appears as if waves are dancing and interacting with one-another. 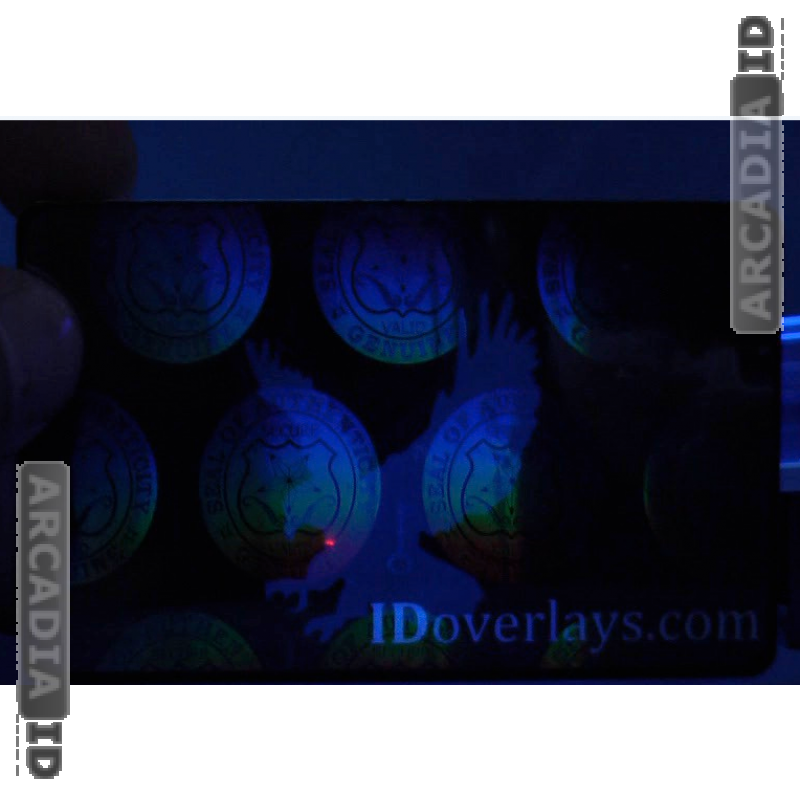 As the card is shifted, the different layers of the multispecturm shift in color and intensity until the seals disappear completely. 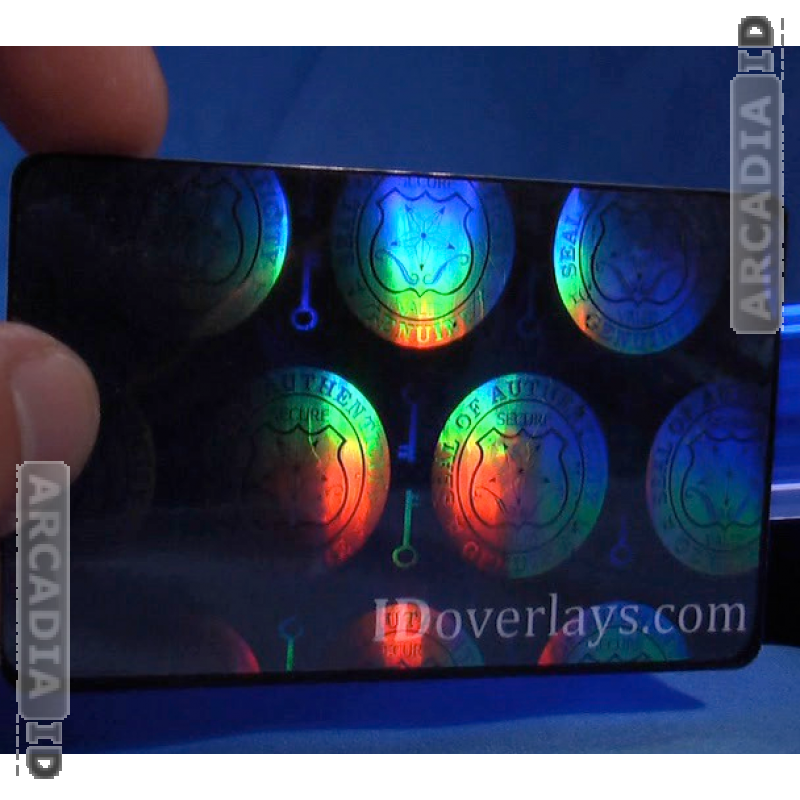 Full Coverage: We manufacture all of our holograms to measure a full 52mm X 84mm to fit all PVC ID cards as well as our butterfly pouches perfectly. 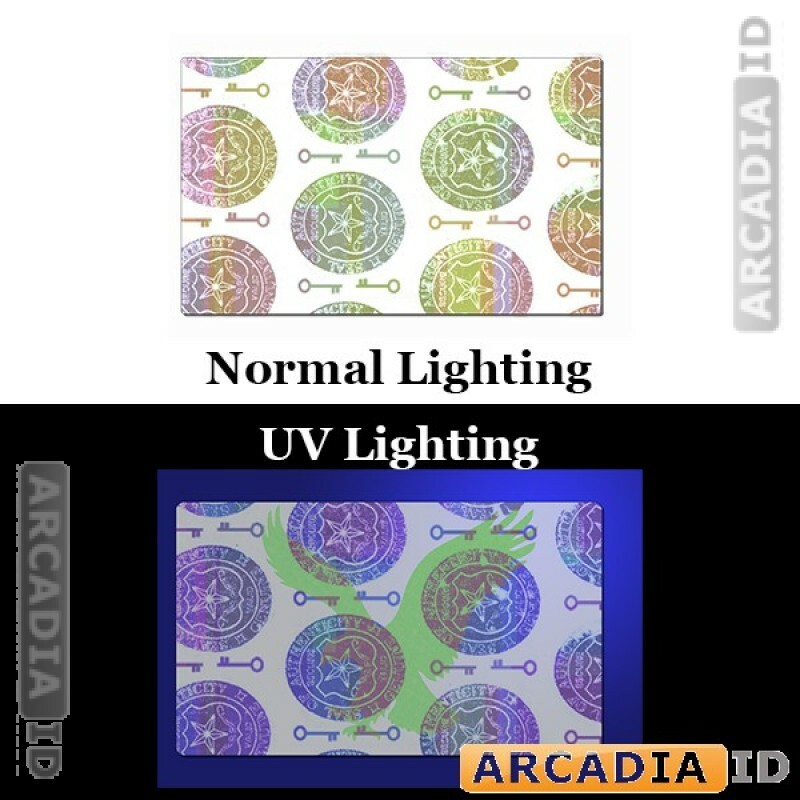 All of our ID overlays measure 52mm X 84 mm and are slightly larger than other ID Card holograms sold on the market which are CR 79 sized (83mm X 51 mm). 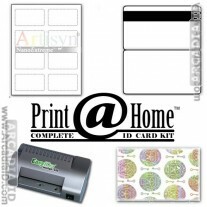 This gives you more full coverage of the surface of the ID card, while still giving the necessary room to position the overlay on the surface.